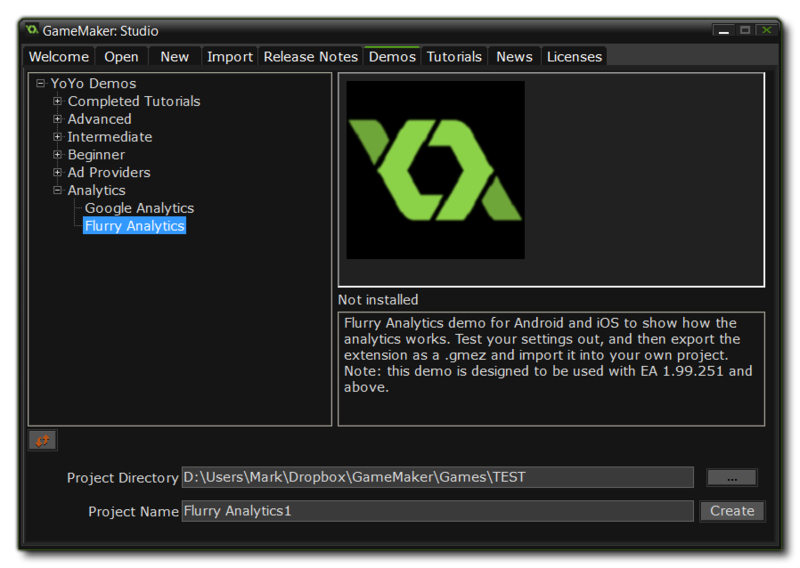 From the EA 1.99.260 and next 1.4 Beta update onwards of GameMaker: Studio, analytics for Android and iOS are no longer provided natively and instead are now available as extensions. 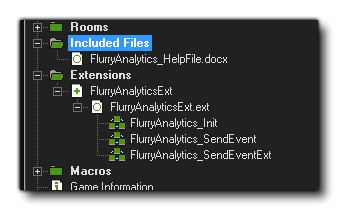 If you are using the built-in analytics functions currently, you will need to remove them and instead add in the new extension functions, which we will explain below. The extensions are supplied to you in the form of Demo files, and from these you can test the extensions then create your own GMEZ for future projects to use. The demo files are available from the YYG Demo RSS feed, which you can access from the startup screen of GameMaker: Studio. Once you select the demo to download, it will be loaded into GameMaker: Studio ready for you to test. Once you have your tracking Ids you can add them into the Create Event code of the "objControl" object and test the demo on your chosen device. Note that for Android, you need to do a full APK build for them to work. 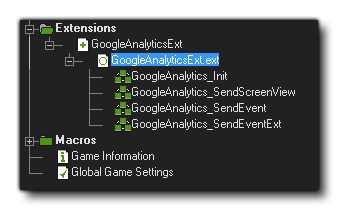 Since there is no direct feedback with analytics, the demo itself will only display console messages to show the status of the analytics events called, however if you are testing with Google analytics, the real-time reporting on the website has improved, and you can now see events as they are triggered which is very handy for testing. It shows results almost straight away for iOS, but for Android it can take a while for something to show up because the android SDK only dispatches results intermittently.